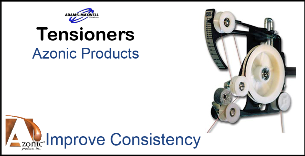 For more than 20 years, our manufacturing facilty has utilized more than fifteen 1250 Automatic winding systems to produce our Space Level RF magnetics line. The accuracy and repeatability provided by the automatic traverse is essential in our process control. 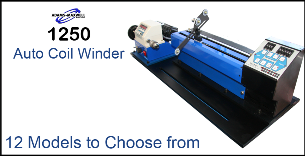 We can always count on a quality product with consistent results when using our Adams-Maxwell winding machines. 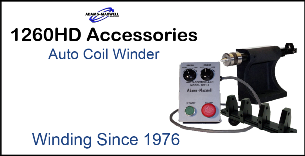 We offer an array of coil winding accessories to help your company increase your output while improving your end product. 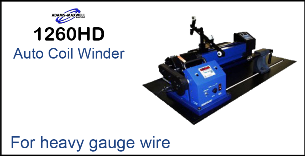 We offer an array of coil winding accessories for Heavy Duty Coil Winders to help your company increase your output while improving your end product. 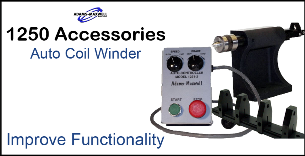 Adams-Maxwell is known for durable, and high quality Coil Winders. 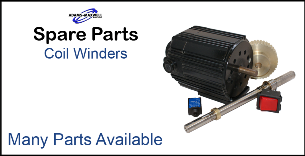 We offer Customers spare parts, and a top notch Repair department to keep your company winding coils and bobbins.